Inserts and outserts (outserts are used with some types of carbon arrows) shouldn’t be taken for granted. 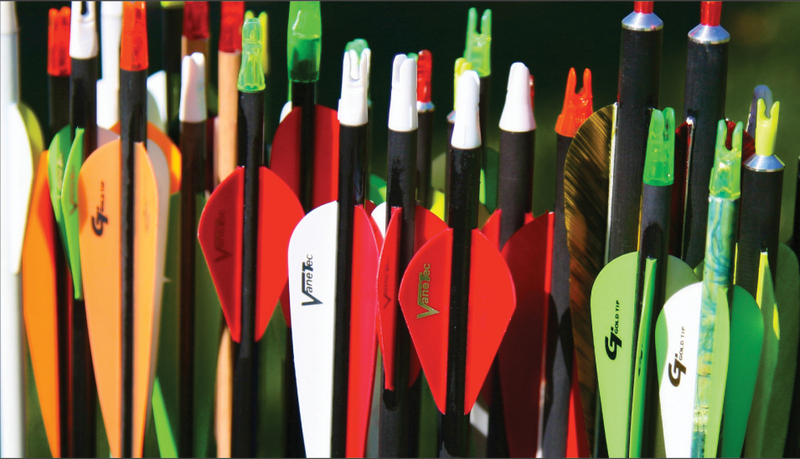 Consistent accuracy with broadheads can be difficult to achieve when these components fit loosely. Inserts and outserts should install without any free-play. Usually you don’t have too many options with outserts – you get what the arrow maker offers – but you do have options with inserts. I’ve had good luck with aluminum inserts from Easton and Saunders and composite inserts from AAE. Inserts should have a light press-fit with the inside of the shaft so that each broadhead you screw in will line up perfectly with the shaft. 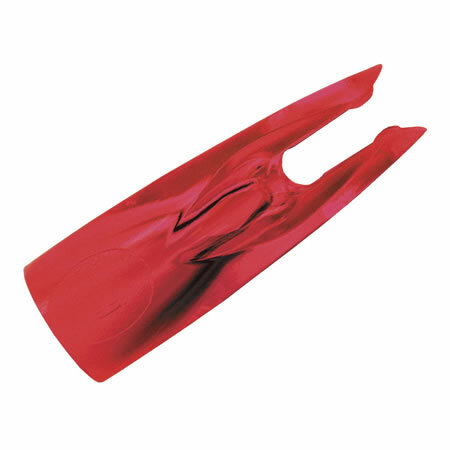 Take some time to visit http://www.eders.com/ to view their catalogue of parts and equiptment to assist you in your build. Each season we spend several hundred hours planning, baiting and preparing our hunters for the prospect of harvesting a bear AND we meet new hunters that are ready and eager to harvest that said bear. However there are some that will be in for a wait. 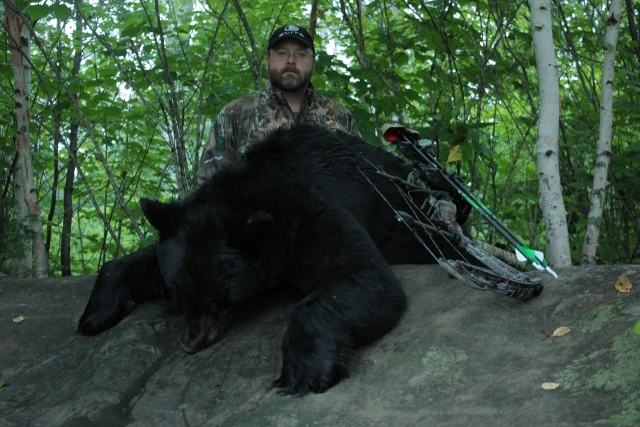 Understanding that bear are as individual as people will give a hunter more perspective into what to expect. I have commonly met new hunters that assume that just because there has been food placed daily for a couple of weeks ahead of time daily, that predicting when a large sow or boar will come in to take and they will go and sit for that time……WRONG! Being that our baits generally carry multiples, the pattern of ‘hits’ (baits being opened and emptied) can vary. Smaller bear can come in and hijack a small mouthful in an attempt to get a treat before the larger, more dominant animal appears. The larger bear may feed less than daily and come every second or third day and yet another wrench can be thrown in with a travelling sow and cub or cubs. That sow and cub(s) can travel the distance of several baits and interrupt many which in turn will throw off any marked pattern that may have been occurring up until this point and leave a hunter scratching his or her head. Weather is another factor that can throw off the pattern of hit times and during the latter part of August and into September, the wind is prone to several directional changes per day and variations of warm, cool and wet days that can play havoc with a bear’s daily movements. 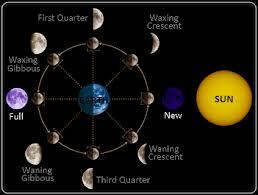 Pair all of this together and now add the moon phases. As the moon fills, the night time light becomes more prevalent and allows for easier visibility in those later hours and no hunters in the trees. With all of these factors stacked against a hunter, it soon becomes apparent that this is still a hunt and outsmarting your prey and putting in your time may be necessary. Don’t get me wrong, we have had bears taken from baits while stands were still being set in the trees but on the flip side we also get those hunters that take their bear on the last day, last hour and last minute of the hunt. All factors are variables that play into the outcome of an overall hunt. The moral is be prepared to sit your stand from as legally early to as legally late as possible. You are dealing with animals that don’t rely on stats or patterns the way we put weight on them. These animals need to fill their basic instincts when the time suits them and not when it suits us. 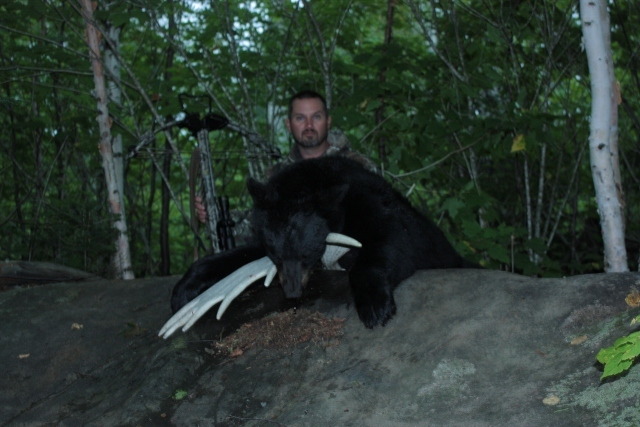 You need to ask yourself before taking on such a challenging hunt….is this bear worth the wait? It cant go without saying that this year’s batch of hunters fortitude has been tested over and over. With weather that seems to be taunting them by cold raining one day and jumping to 80+ degrees and sunny the next, these guys have been putting in the hours and time after time have in most cases been rewarded. On Saturday, Dave, Tim and Jason made the long drive up from Iowa to try their best to outsmart a couple bruin and get a day or two of fishing in. Optimism high and clouds beginning to hang low, the stands began to be assembled for the drive to the baits. The men arrived back in camp late after a dark trip through the woods. Dave was ecstatic to let me know that his bait had proven effective and he had spotted an average sized bear that he had decided to pass on and Tim and Jason both had heard but not spotted activity. The next day, the three went out, excitement and weapons in hand. The weather had cooled down and was determined to hold that mercury low for the day. The boys had layered and knew it would be a good, long, cool day. The day wore on for us here at the lodge as we completed one task after another waiting for the telltale early truck arrival signalling a downed bear. As we waited and watched, the clock ticked on. The sun had already set and the boys were already 30 minutes passed the expected arrival. 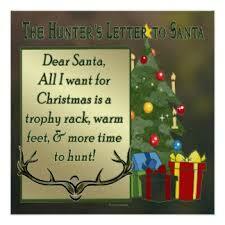 We would give them 30 more minutes before setting out to ‘track’ our hunters. 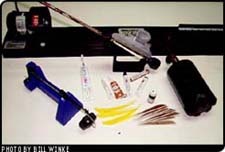 As the minutes dragged on, I had begun to assemble my gear, ready for the drive out with Terry. At 11:20 pm, a set of headlights pulled through the trees and the truck slowed to a stop in front of my door. I emerged to a truck full of smiles, not only had Dave taken his boar of 368lb glory, but Tim had taken his as well!! As we iced the bears down for the night, I had the chance to go over the hunt with both hunters, as a returning hunter to Wawang, Dave was so excited to tell me about all the bears he saw on ‘the bear highway’ today. He couldn’t help but beam when he told me about the sow and cubs that came for two visits that day as well as the mid sizer that came in between. He said that with all the action on the bait, it was very simple to decipher the size of his boar. He was clear that it had trumped everything else that had come for a visit and was so proud to share the pictures. “There were just bear everywhere I looked!” he repeated. Smiles all around, Tim spoke up about his hunt and was proud of his harvest, though it wasn’t as big a bear as Dave’s, the tell white half chevron of white on the chest that made a winking emoticon made it very simple for me to dub this boy ‘Winky’ . Both had prime hides and will make for not only fantastic stories but beautiful mounts to be enjoyed for year after year. Jason was so proud of both of his hunting buddies and is determined to add to the celebration list too! “The Troy Wilson Buck” Taken in 2001 with a muzzleloader in Kentucky. 48 Points on a 10 point main frame. “The Alexander McDonald Buck” taken in 1960 in Nova Scotia with a modern Rifle. (Currently owned by Bass Pro Shops) 35 Points on an 11 point frame. 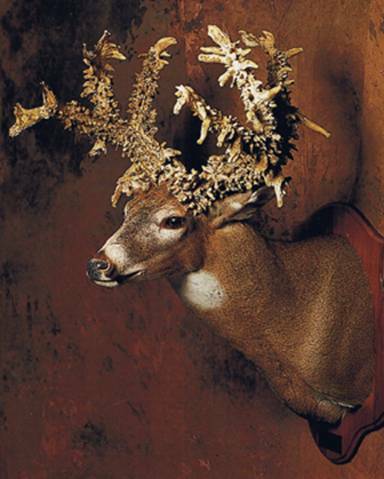 “The Beatty Buck” taken with a compound bow by Michael Beatty in Ohio in 2000. 40 Points on a 10 point mainframe. “The Jay Phankuch Buck” taken in Ohio in 1995 with a shotgun. 27 points on an 11 point main frame. Hunters who take a moose and are camping out often have a feast—chunks of prime meat roasted on sticks over a campfire—a delicious and savory reward for their hard work. Butchering one of these big, heavy animals takes a lot of time and effort. A prime bull can yield more than 500 pounds of meat and fat. 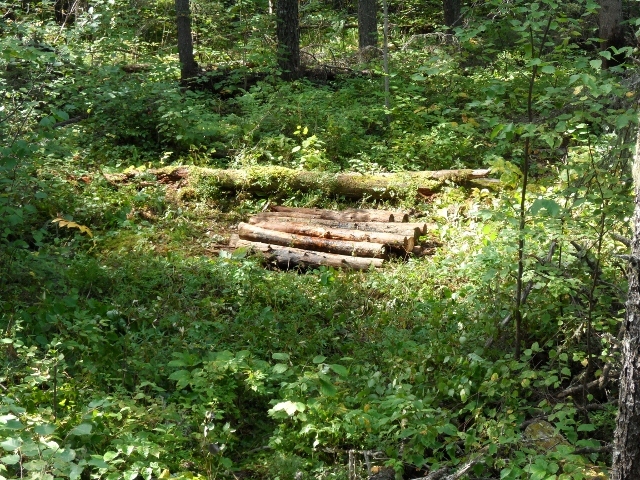 Traditional foods include many other edible parts of the moose such as the head, liver, heart, some other internal organs, and the highly valued fat. So it takes not only a lot of work to butcher a moose, but also specialized skills and a detailed knowledge of the animal’s anatomy. 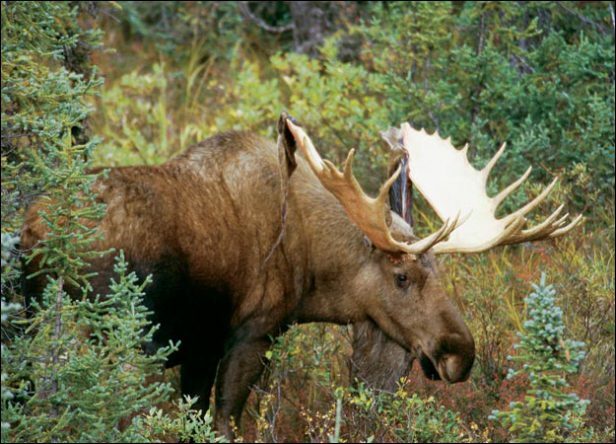 Moose meat and fat are staple foods in most many people who live in the northern regions of Ontario. Fat is a very important part of a traditional diet because it stokes the metabolism and adds flavor to meat and organs. Unlike beef, moose meat is not marbled with fat, but rather the fat is separate. A favorite kind of fat is found in the sheath-like mesentery membranes that hold the organs together. In times past, even the bones of moose were ground and boiled to make a fatty broth. If they didn’t use the bones immediately, they could store them as a potential source of food during times of scarcity. Delectables include brisket, short ribs, heart, and tongue. 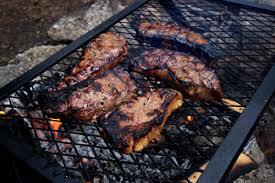 Thin slices of meat may be fried. A delicious gravy is made from the fat. A regular favorite is moose meat simmered in a big pot along with some combination of rice, noodles, or potatoes and sometimes vegetables. 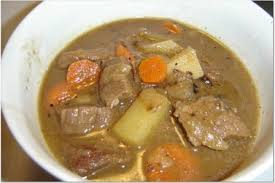 The result is a thick meaty, delicious stew. Bone marrow is also used in tasty, nutritious broths.